Railings. You have to love them, especially if you’re a photographer. They’re a ready-made set of beautiful lines and reach into deep and satisfying bokeh. This very handsome set is found a walk away here in west London. 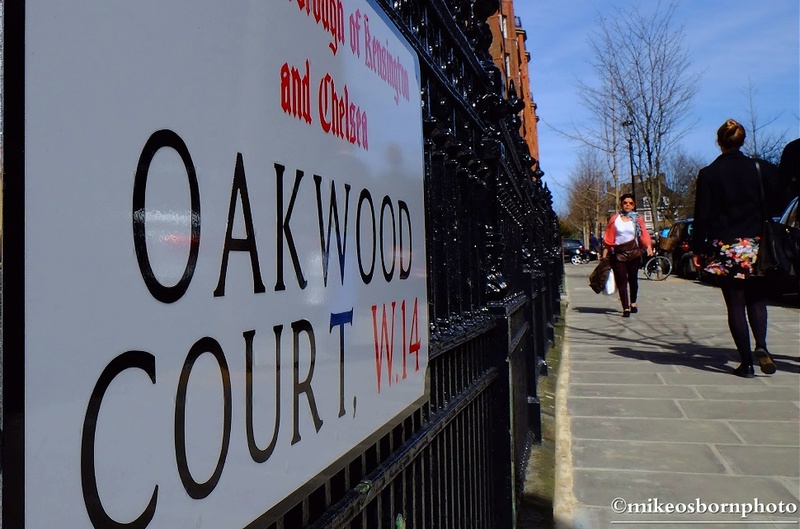 They provide a majestic barrier for Oakwood Court, a very handsome housing complex for the more well-heeled of the Royal Borough of Kensington and Chelsea. Needless to say, I live in a neighbouring area. It was a pleasant, sunny Spring day, and the railings glisten in this relatively high key shot. It’s wondrous how some metal can pleasure the eye. Well it’s that you’re not supposed to look but keep on looking… or take photos in this case!